Earth is not a spinning ball and nobody has ever landed on the Moon or gone into "outer-space." Most NASA astronauts and the leading heliocentrists for centuries have all been members of the same Freemasonic secret society, slowly and successfully duping and taking over the world. Blatant Freemasonic symbolism back in the 60's. 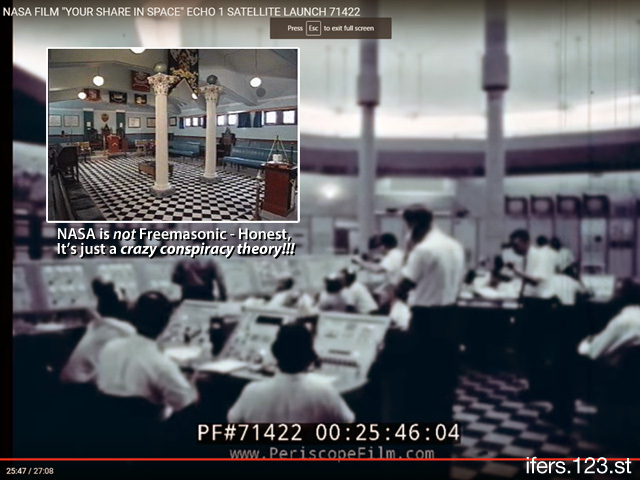 Next time some Space Junkie argues that NASA is not Masonic, show them this. Skywalker wrote: Next time some Space Junkie argues that NASA is not Masonic, show them this. Beautifully produced and senses grabbing piece of work.